For a brief spell in the 1990’s the Watford DC Line was operating under the moniker “The Harlquin Line.” Details as to how this came about have been lost in the mists of time, but a few forums suggest the title was acquired from a public naming competition ran by Network SouthEast. Some say that Harlequin is a portmanteau of HARLsden and QUEENs Park. 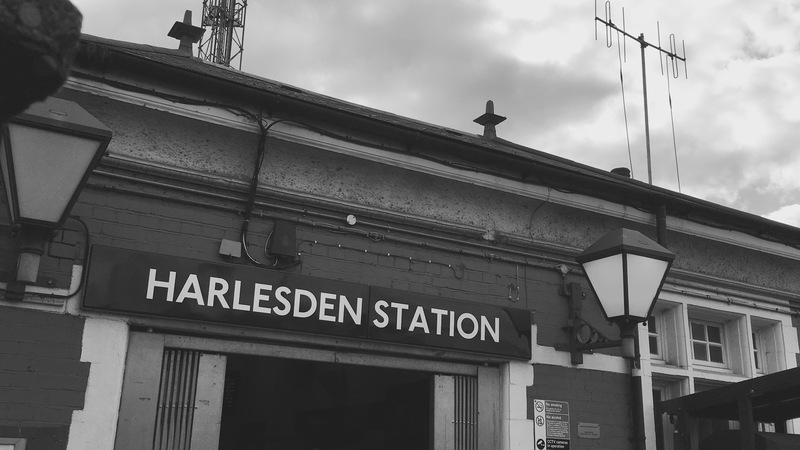 Others have suggested that the inclusion of Harlesden is merely a happy coincidence and the name is actually a triple portmanteau of HARrow, WilLESden and QUEENs Park. The main shopping centre in Watford, opened in the early 1990s, is the Harlequin Centre (or it was until recently). There has to be a connection there, though I don’t know what it is! Strange how the origins of this name have disappeared so rapidly!